Breezes That Never Went: GONE WITH THE WIND Almosts | THAT'S ENTERTAINMENT! Welcome to another Wildcard Wednesday! Today’s post concerns one of my favorite films of all time, Gone With The Wind. For those of you who live under a rock, Gone With The Wind, based on the bestselling novel by Margaret Mitchell, tells the story of Scarlett O’Hara (Vivien Leigh), a spoiled Georgia belle who pines for the honorable Ashley Wilkes (Leslie Howard), protects his kindhearted wife Melanie (Olivia de Havilland), ignores the advances of the dashing Rhett Butler (Clark Gable), and struggles to keep her plantation–and life–afloat during the Civil War and Reconstruction. The role of Scarlett was once the most coveted in the industry. For two years, producer David O. Selznick tested girl after girl in the hopes that she would be the one. Tallulah Bankhead (seen below) was an early favorite and the first to make an official screen test in December 1936. Her age, however, was a major drawback and she was dismissed. Through 1937, Selznick’s team scoured the country looking for unknown actresses, but that effort was largely unsuccessful. Through 1937 and 1938, many read (including Lucille Ball and Diana Barrymore), but few of them made tests — among those were young Susan Hayward, Anita Louise and Paulette Goddard (all seen below). In fact, some contenders, though they never tested, were quite legendary. Bette Davis later claimed that Louis B. Mayer had read Gone With The Wind and hoped to cast her in the role, but given her current streak of lackluster roles and not having read the book, she responded tartly: “I’ll bet it’s a dilly!” In fact, when Selznick bought the rights, Warners offered him both Davis and Errol Flynn, but he was not interested. The truth is, the big names — Davis, Crawford, Hepburn, Shearer — were never really considered, despite reports to the contrary. One star, however, was: Clark Gable as Rhett Butler. In 1938, MGM offered both Gable and financial backing in exchange for distribution rights. Selznick gladly accepted. But tests for Scarlett still continued – with Paulette Goddard, Jean Arthur, Joan Bennett, and even little Lana Turner making tests. Goddard seemed to be the closest fit for the role. So close, in fact, that by November of 1938, she was the only contender making Technicolor tests. But, unfortunately for Paulette, a young British woman soon arrived and swept Selznick off his feet. Her name was Vivien Leigh. The story of her introduction to Selznick is quite legendary. 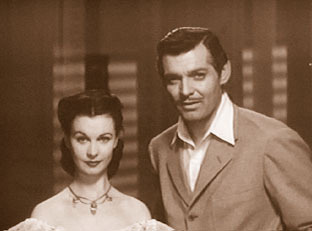 In town while her lover Laurence Olivier was making Wuthering Heights, Leigh was introduced to David by his brother Myron on the night that filming began on the burning of Atlanta. With doubles of Rhett and the yet-to-be cast Scarlett in the background, Selznick was charmed by the English beauty. Leigh made tests in late December, along with Paulette Goddard, Joan Bennett and Jean Arthur. While Leigh OBVIOUSLY blows the others out of the water, Goddard’s tests — especially that black-and-white paddock scene a couple of clips above — are incredibly intriguing. A beguiling actress, it’s a shame she is now primarily known for being Charlie Chaplin’s paramour, instead of the unique character that she was. 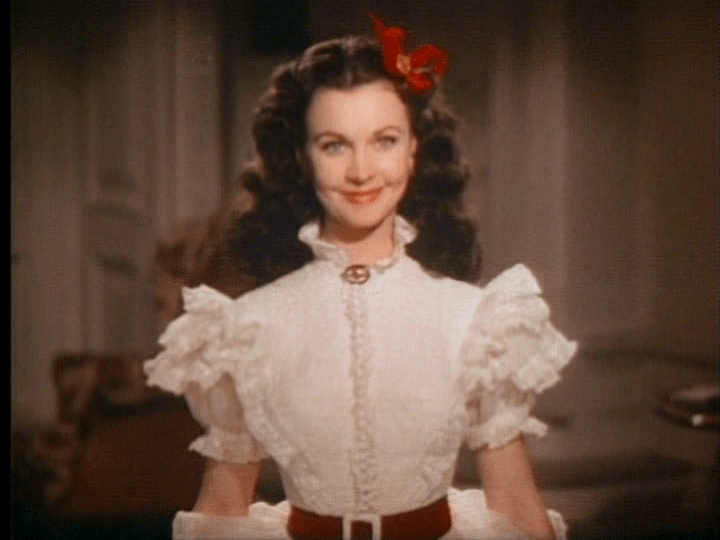 But these tests were incredibly conclusive: Vivien Leigh WAS Scarlett. She learned that she had the role on Christmas Day 1938. And it’s hard to imagine it any other way. Come back next week for another surprise Wildcard Wednesday post! And tune in tomorrow as we continue our best episodes of Xena countdown. Pingback: Spotlight: Lovely Pre-GWTW Leigh (Post Two) | THAT'S ENTERTAINMENT! Pingback: Spotlight: Lovely Pre-GWTW Leigh (Post Three) | THAT'S ENTERTAINMENT! Pingback: Spotlight: Lovely Pre-GWTW Leigh (Post Four) | THAT'S ENTERTAINMENT! 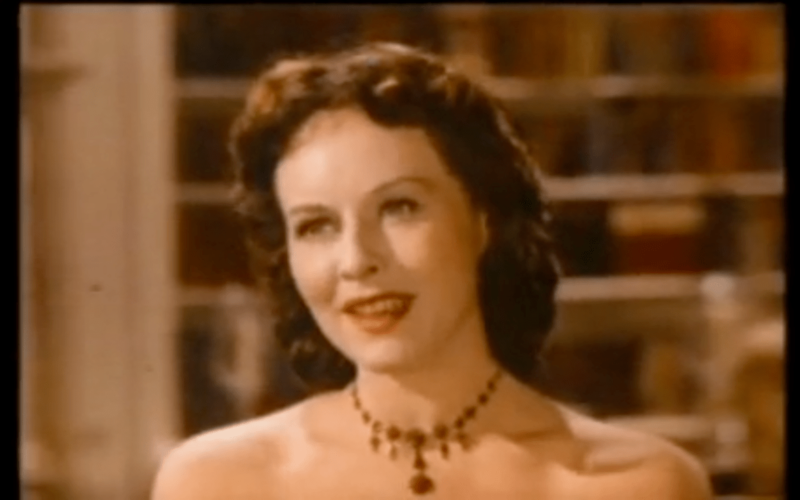 Pingback: Spotlight: Lovely Pre-GWTW Leigh (Post Five) | THAT'S ENTERTAINMENT!